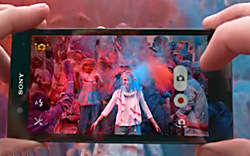 Sony Mobile wants 2013 to be the year of the Xperia, launching its largest marketing effort behind the brand in years. The company took the opportunity of the Mobile World Congress in Barcelona on Monday to restate its commitment to mobile as part of the company’s overall business strategy, adding a new tablet to its Xperia line, and touting the ease with which their devices fit into people’s lives. To showcase the devices, the company in March will launch what it is calling its most ambitious marketing campaign ever. The campaign, which will carry the theme “Experience the best of Sony in a smartphone,” will run in more than 20 global markets and include digital, TV, print, out-of-home and retail elements. Whether Sony Mobile can deliver in an increasingly crowded smartphone market will be a true test for the brand. Once known as Sony Ericsson, the company was one of the top three mobile handset companies in the world, but has seen its market share slip as smartphones (from makers such as Samsung, Apple and LG) have taken their place. According to Ramon Llamas, research manager for mobile phones for Gartner Research, Sony mobile had seen its overall shipments decrease by a million units last year (although smartphone shipments increased), and the company had slipped to seventh among global phone makers. While the brand is still popular in markets such as Latin America, Japan and Europe, it has flagged in the U.S. behind companies such as Apple and Samsung in the smartphone market. But making a big splash in the U.S. would help raise Sony Mobile’s profile around the world as well. “The U.S. is one of those markets [from which] other markets gauge their success,” he says.